Madrid the capital of Spain, lies almost in the centre of the country. Spain is a top tourist destination and many visitors stick the Spanish Costas, but Madrid is great for a city break. I’d recommend a visit in Spring or Autumn as it gets very hot in Madrid over the Summer. 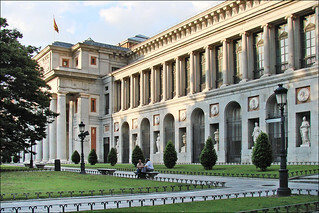 Madrid has loads of museums, the best known being the Prado which has one of best collections of European art covering the period from the 12th to early 19th century. If you plan to visit several museums, look into buying a Madrid Card. Be aware that the Madrid Card doesn’t include public transport – you have to buy a separate Tourist Travel Pass for that. However, if you plan your itinerary carefully you could visit some museums free of charge. The Prado is free from 6-8pm Tuesday to Saturday and 5-8pm on Sunday. The Palacio Real is free for EU citizens on Wednesdays, so make sure you take your passport with you. The Reina Sofia is free on Monday, Wednesday, Thursday and Friday from 7-9pm, Saturday from 2.30-9pm and on Sunday from 10am-2.30pm. One of the first things that struck me when I emerged from the Madrid subway was how green the city was. Retiro Park was just across from our hotel, so we visited it several times. It’s a beautiful park with classical style sculptures, a large boating pond and a rose garden. On Sundays from May to October there’s a free classical music concert at midday. 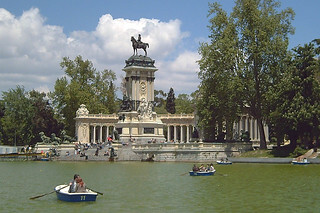 The Botanic Gardens are between Retiro Park and the Prado. There’s a small admission fee (2.5 Euro in 2010). 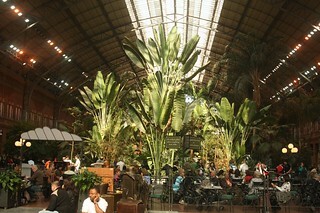 You can even enjoy green Madrid when you wait for a train at Atocha rail station. During the renovations in 1985, part of the original station was turned into a tropical greenhouse garden. 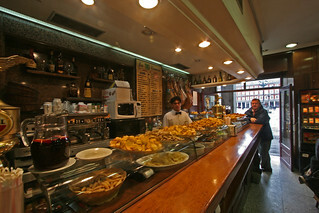 Tapas are individual snacks, similar to canapes, often eaten as appetisers in bars prior to a late dinner. There is such a wide range of tapas, e.g. made with ham, sausages or prawn and some are more substantial than others. There are hundreds of places to eat tapas in Madrid, here are a few recommendations. Often each tapas bar has its own specialities, so you may want to try a few. The question is will you be able to eat any dinner after taking a Tapas bar tour?